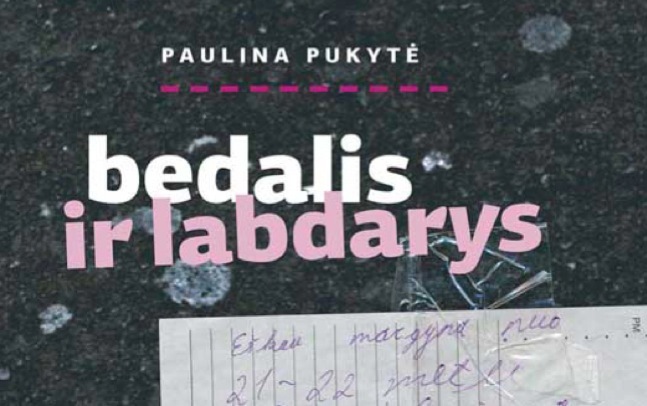 Paulina Pukyte’s third book, Bedalis ir labdarys (A Loser and a Do-gooder), Vilnius: Apostrofa, 2013, is constructed entirely of dialogues and monologues, which are conceptually joined into a narrative of human relationships. It is a journey of an outsider – through misunderstandings, deceit, absurdity, indifference, cruelty, loss, and longing. The book was shortlisted for The Most Creative Book by a Lithuanian Author Award and The Book Of The Year Award. A theatre production of Bedalis ir labdarys premiered at the State Small Theatre of Vilnius in November 2015. Extracts from this book are included in the anthology of Best European Fiction 2016, published by Dalkey Archive Press.